To enhance the Guest Experience. 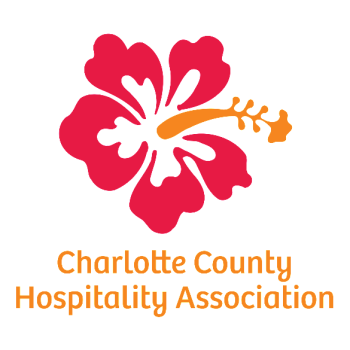 The Charlotte County Hospitality Association promotes the interests of hospitality industries in the Charlotte County area by providing industry-related information and education to the membership, as well as facilitating communication among hoteliers, restaurateurs, attraction and other business owners, and tourism supporters in the Charlotte County area. The association&apos;s goal is to improve relations between all agencies involved in tourism within the county and to be a resource for individual businesses. Monthly member meetings provide educational and networking opportunities and foster a spirit of cooperation and support, while the monthly newsletter enhances communication, and draws attention and support to members&apos; events. If you run a business in Charlotte County, membership in the CCHA can help extend your reach, both to potential customers and to fellow business owners. Membership is only $50 a year, with a one-time $15 processing fee. Mar. 23, 8:00 am, La Quinta Inn & Suites: Jennifer Huber, Public Relations Manager with the Charlotte Harbor Visitor & Convention Bureau, will speak about the importance of hosting members of the media on familiarization trips (FAMs) to you, your staff and your business. First-hand experience allows a member of the media to share their experience with their readers and raise awareness about the destination and specific businesses and organizations. Jennifer will explain why the Bureau hosts members of the media, how they are selected to visit, what is involved in hosting them, how local tourism-related businesses can assist, and how it can impact your business, organization and the destination. April 27, 6:00 pm, TT&apos;s Tiki Bar in Punta Gorda: join the CCHA for a relaxed networking event—and an exciting announcement! All member meetings are free for members and $5 for guests.